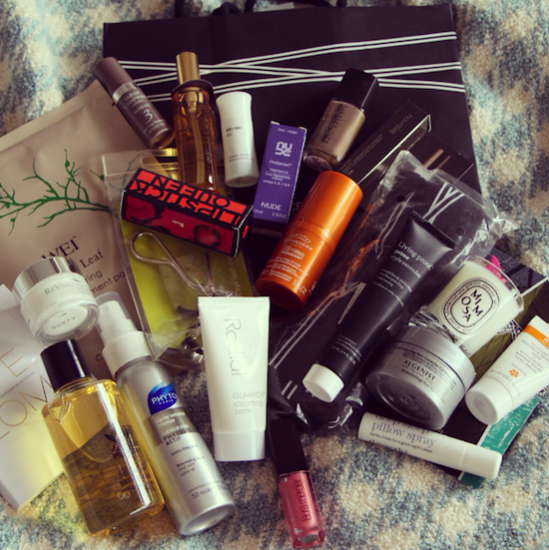 SpaceNK’s latest customer goodie bag is a bit of a winner – over £190 in value, it includes the cutest Diptyque candle and a travel-size Institut Esthederm sunspray. Lots of handy things for your hols… Contents pictured above. My friend Maya will be there like a shot – I’m sure she goes to every single customer event – they should give her a trophy! 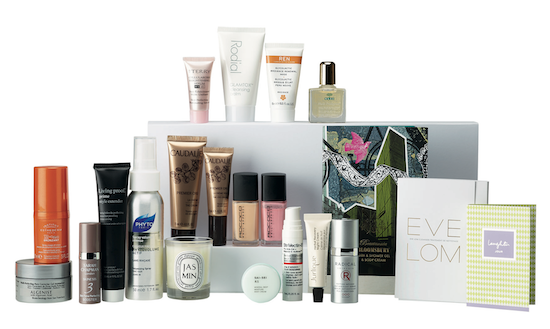 To bag the goodies you need to spend over £150 instore on the 15th May – but what if you don’t live near a SpaceNK? Well, good news. There’s an online version too – same value, very slightly different samples. All of them still luxe and gorgeous, and that all-important Diptyque candle is still included… I’ve popped an image of the online contents below – you can try and play spot the difference if you’re bored! Notable differences for me: the inclusion of a By Terry serum sample and a dark-spot correcting product from StriVectin. There’s also a product from “Radical Skincare” worth thirty-three pounds for 8ml! The mind boggles. Online customers can take advantage of this offer anytime between 1am on the 15th May and midnight on the 16th – so all of Wednesday and Thursday. If you fancy one then just use the code “maybag14” – please note that this is for UK customers only, no international shipping unfortunately! If you were in need of any inspiration, (as if! ), then take a look at this Custom Artist Portfolio from Laura Mercier. 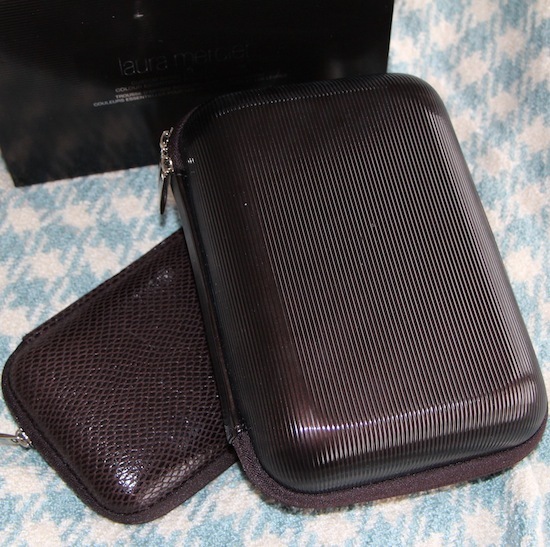 You may recall the luxury brush set that she bought out for Christmas (post here) – well this one doesn’t have brushes but it’s quite similar in that it’s a hard shell case with detachable mesh makeup bags inside. Quite handy if you travel a lot and want something sturdy and practical that will protect your precious palettes and glass bottles! 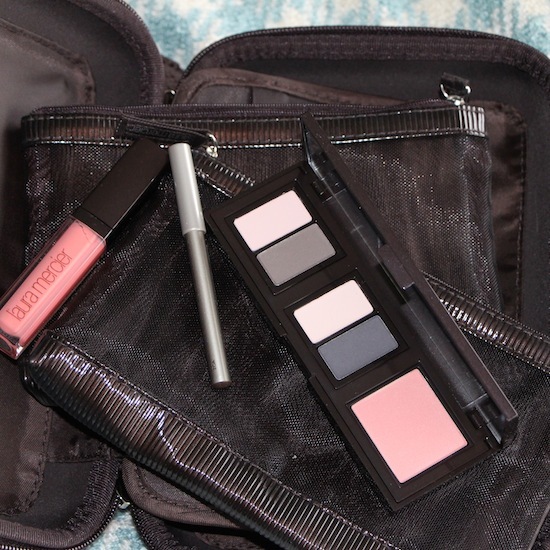 You can get a version without makeup (£65 and comes with 4 makeup bags, brush “page”, two fillable makeup compacts, here) but this one includes two eye duos, a cheek colour, a lipgloss and an eye pencil. It’s £85 from SpaceNK.